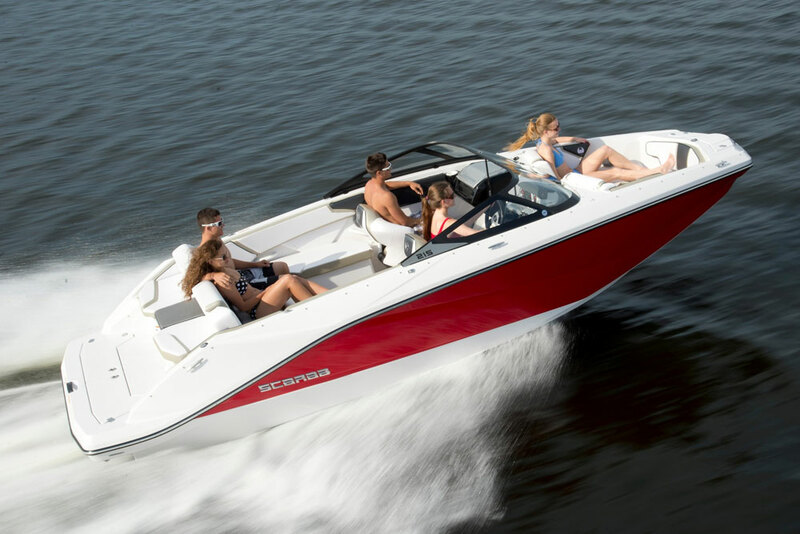 Jet boats make ideal runabouts for many different boaters and watersports enthusiasts. Jet boats have proven their value in the world of small bow riders, and now they're proving their popularity in other ways as well. Take the 22’ to 24’ runabout class, for example. It's no surprise that this is a popular size range. Still able to be trailered and easy to fit beside the house or at the dock, they're also sizable enough to take on bigger waters, and accommodate more friends who want to come along for the ride. What might surprise, however, is the fact that the best-selling 23-footer as of late is not powered by an outboard or stern drive engine, but instead is a jet. 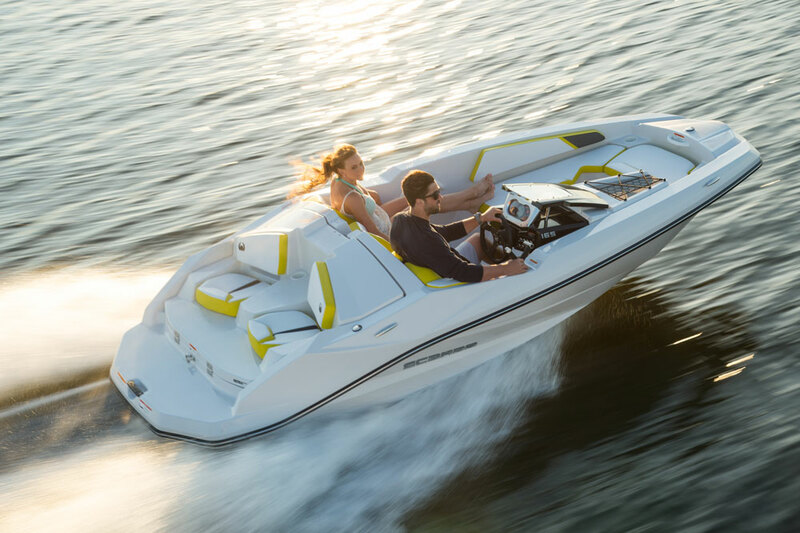 Yamaha’s jet boats dominate the runabout market in much of the 20 to 24 foot range, and this AR240 was deemed one of the Top 10 Runabouts of 2016. 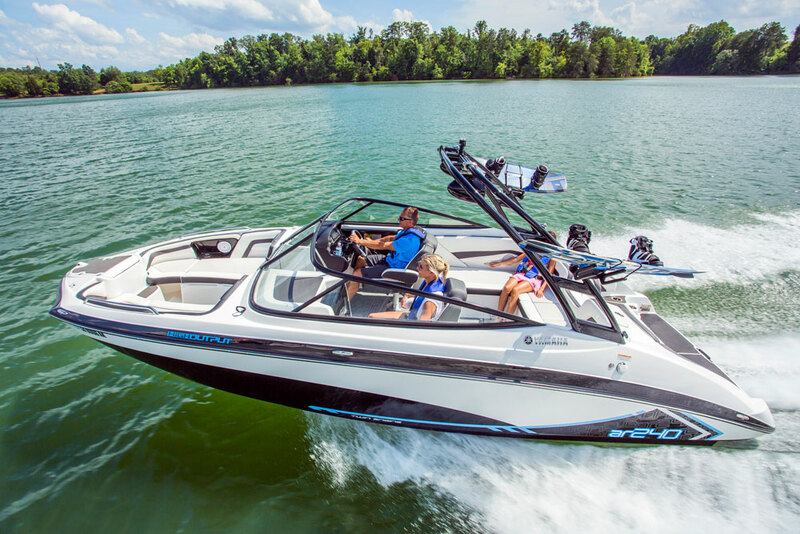 Yup, Yamaha's SX, AR, Limited, and Wake series jet boats have squashed any notion that they’re little more than large Jet Skis. Jets are overcoming the stigmas that once plagued them, and are becoming just another propulsion alternative. 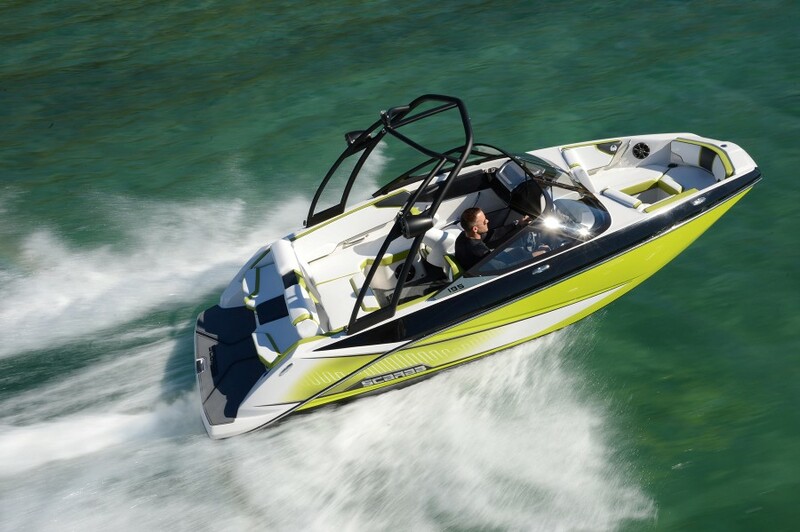 In fact, models like the Chaparral Vortex have proven that jet boats can be effective for watersports. 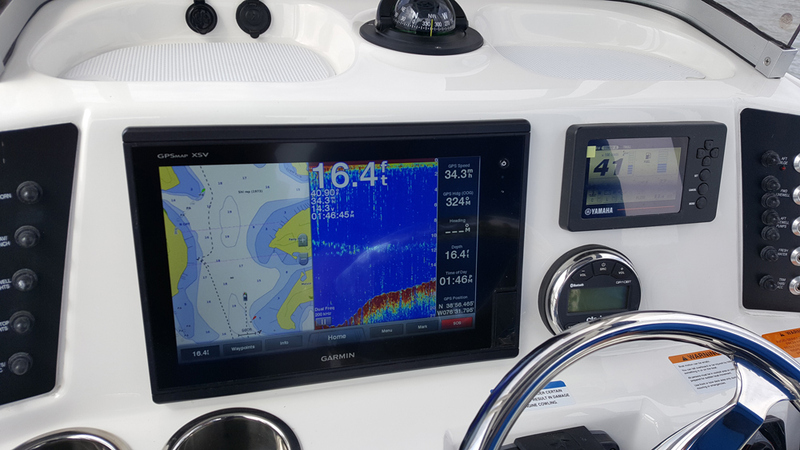 And others like the Yamaha 190 FSH are becoming accepted in the fishing world. To find out if jet boats could really work as fishing boats, we spent an entire day casting for stripers while shooting Got Bait? Marsh Island Mayhem. And yes, we did catch plenty of fish. 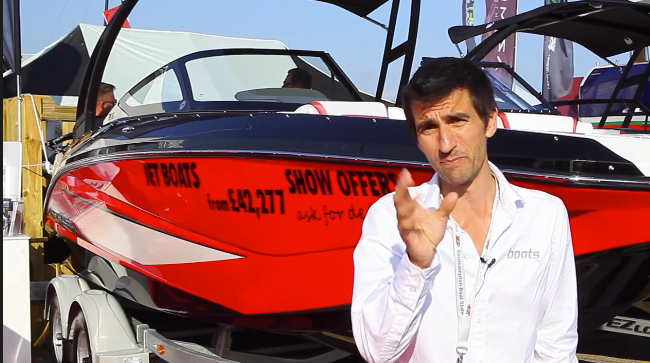 Why are jet boats being utilized for more and more different types of boating? Why is their popularity going through the roof? Let's look closer at some of the advantages of jets. Safety: Jet boats are touted as being far safer than a prop-driven boat. The jet pump is enclosed. There's no whirling prop, and no bulky hardware to potentially strike or injure a swimmer or skier. 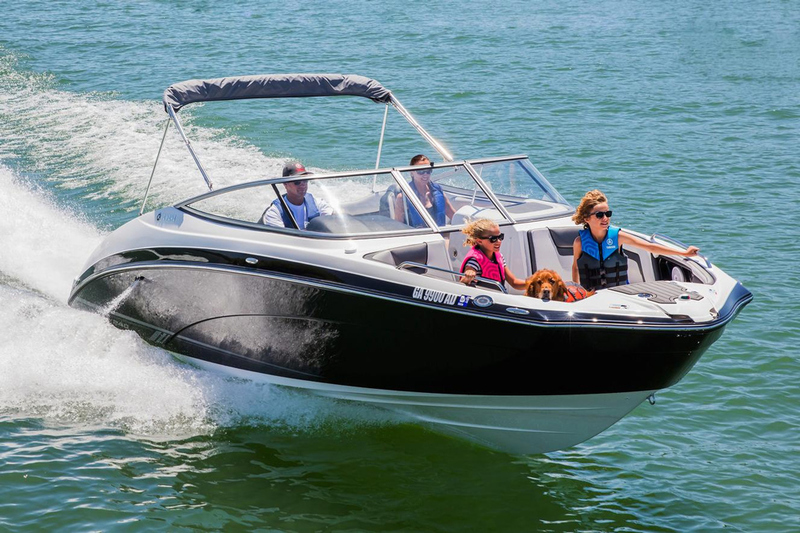 Truth be told boating is a very safe activity regardless of what type of powerplant you have, but knowing that there’s no propeller below the waterline certainly does give people – parents in particular – an added feeling of safety. Parents concerned about safety often gravitate towards jet boats. Draft: Boats with jet drives have always touted their superior draft advantage. Unlike a stern drive, a jet's typical draft is only the depth of the hull itself. That allows them to go in shallower waters with ease, and eliminates much of the worry of running aground or experiencing drive-damage in skinny waters. Acceleration: Jet boats are also typically quick to plane with very little bowrise. That gives them a superior visibility advantage, as the captain rarely loses sight of what's ahead as the boat comes on plane. On some propeller-driven boats, a driver can lose some level of forward vision for as much as three to four seconds. That acceleration is also thrilling, and jets generally have an instantaneous throttle-response that other propulsion systems simply can’t match. Punch the throttle, and a jet boat leaps into action. 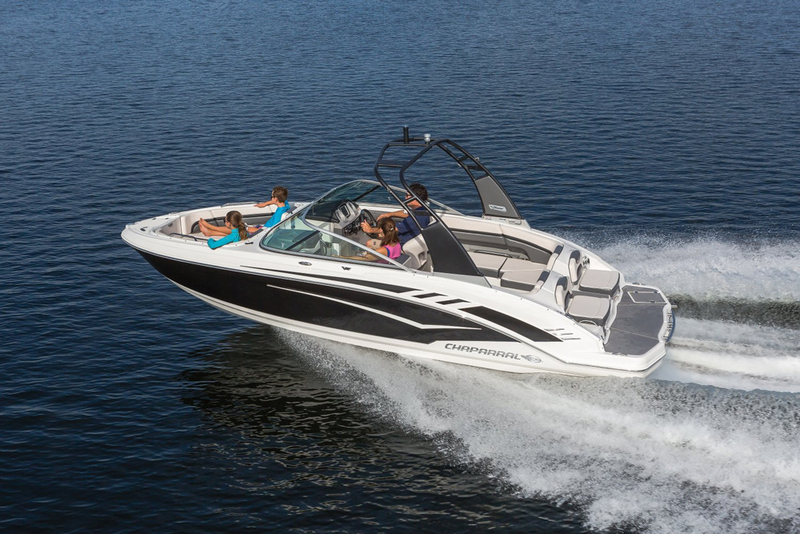 Handling: And then there's a jet boat’s unbeatable, sportscar-like handling experience. Grown-up or not, jets have a ride that appeals to our inner teenager. With the thrust able to be redirected in a flash, jets are quick and nimble. Give the wheel a quick jerk, punch the throttle, and your average jet will leave other boats in its wake. Most jets also don't typically bank as severely, enhancing the driver's feeling of control. 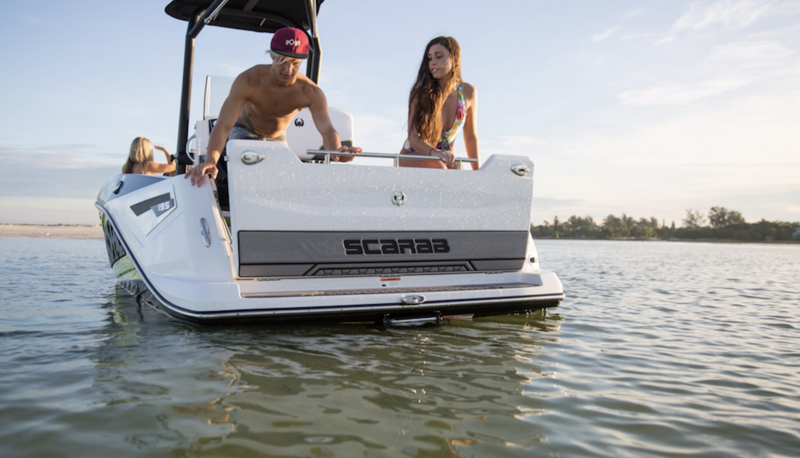 It’s hard to express just how amazing jet boat handling can be, but you’ll get a taste of the action if you watch our video of the Scarab 165 Ghost, which we put into some seriously crazy turns. All of that said, jet boats aren't the perfect choice for all people, by any means. Like all types of boats they still have their disadvantages as well. Some of those negative traits can be attributed to experience, because boaters with a background using outboards, inboards, or stern drives will always seem to struggle slightly when transitioning to a jet. Still, you’ll see experienced jet boat drivers who can handle their boats with utter precision. Like anything, it takes practice. Shifting into Reverse and Neutral: Jets can't reverse the direction of their impeller. Reverse is accomplished by dropping a bucket over the stream of water exiting the pump nozzle. These buckets essentially redirect that flowing water, so it shoots forward instead of aft. Likewise, a jet has no real neutral and is always in gear, because it’s always pumping water through the nozzle. The bucket can be positioned to partially deflect the water, mimicking the true neutral enjoyed by other power systems, but often people think they’ve stopped applying power yet the boat continues to creep one way or the other. Finding that happy medium, where the boat doesn’t move one way or the other, can be challenging. Low-speed handling: Jets also tend to suffer in low-speed maneuvering around the dock. That jet thrust is an advantage at times, but having a prop, skeg, or rudder in the water is often missed in this regard. Driving in a straight line can be difficult, with the boat wandering off to one side or the other, especially when it’s windy. Inexperienced drivers often get fooled into over-steering as they move through slow speed zones or approach the dock. 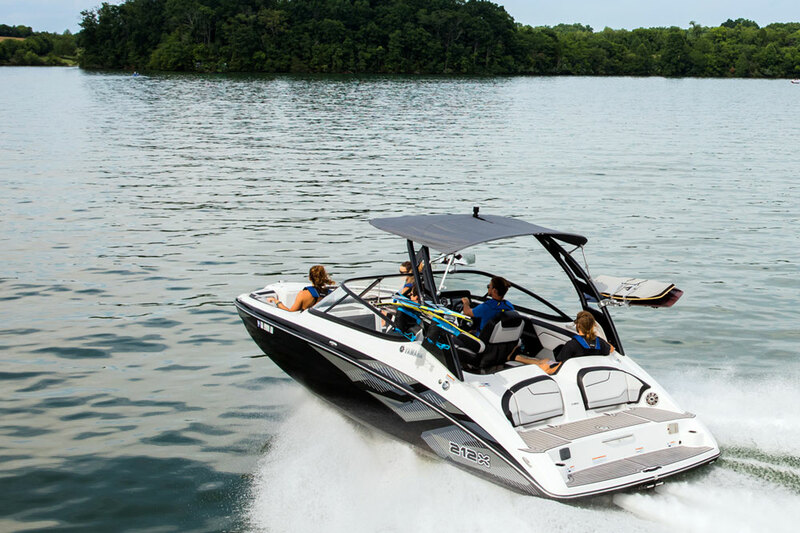 Tow Sports Handling: When pulling a water skier or a wake boarder, that same lack of a prop, skeg, or rudder also means the tug on the tow rope can affect the boat more than it would with these other power systems. The difference isn’t huge, but it does mean the driver may have to make more regular course-corrections. Efficiency: Jet boats are slightly less efficient than prop-driven power systems. Apples to apples, fuel consumption is slightly higher with a jet and a prop-driven boat may enjoy anywhere from 10- to 25-percent better fuel economy. 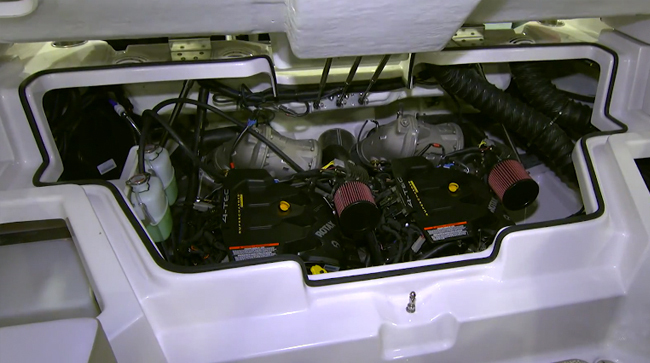 This is because less of the engine’s power can be harnessed with the jet drive. 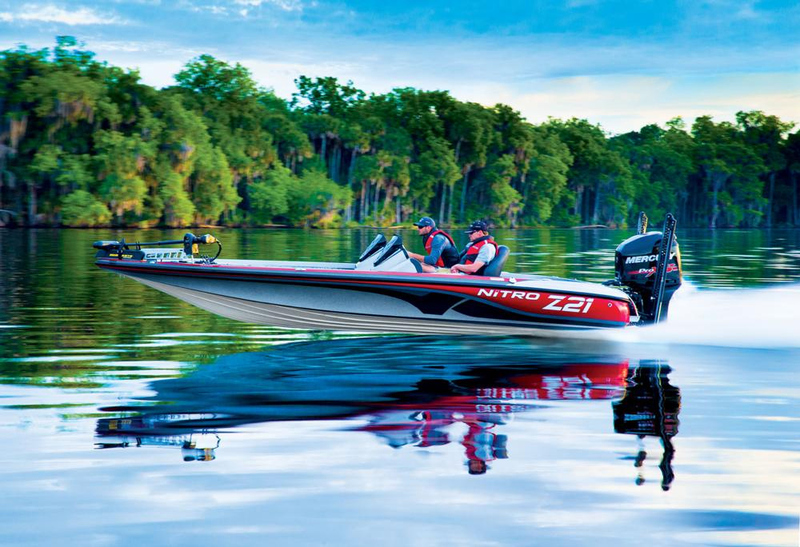 In fact, if you look at jet outboards side-by-side with propeller-driven outboards, you’ll see a drop in horsepower rating for those with jet drives. The Honda 65 Jet, for example, is essentially a Honda BF90 powerhead with a jet drive lower unit. If you’re very concerned with fuel economy, recognize that props do beat out jets in this regard. Volume Level: In no small part because they often rev much higher than propeller-driven boats, jet boats commonly are louder. Boat manufacturers have mitigated this problem somewhat in newer models, and have been taking pains to reduce sound levels. But jet boats still remain louder and often higher in pitch. No one could accurately claim that jet boats in general are “better” than boats with propellers. Nor could one call them “worse” as a blanket statement. Like all other power systems they have their advantages and disadvantages that make them better or worse for different people with different priorities. But they’re a legitimate alternative in propulsion that's at least worthy of consideration, before you buy your next boat. Interested in purchasing a jet boat? See our huge database of jet boat listings. See a comprehensive comparison of all different propulsion systems, in Outboards, Inboards, Pod Drives, Stern Drives, and Jets: Which is the Best? Editor’s Note: This article was originally published in May 2008 and updated in August of 2018.